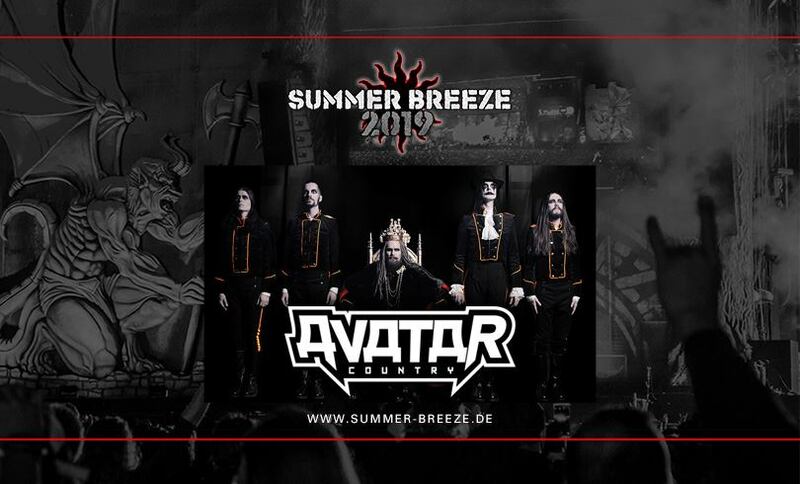 SUMMER BREEZE 2019 - Avatar Confirmed! The circus is coming to town – and we mean it literally! Sweden's AVATAR are coming to Dinkelsbühl for the very first time. Anyone who's ever seen the guys from Gothenburg play live will attest to the fact that they have much more to offer than super catchy metal anthems. AVATAR really put on a show, offering their fans something for both eyes and ears, done in a relaxed, funny manner, captivating their audience straight away. However, their compositions don't need to hide behind the show elements, as their songs manage to convince all by themselves. We are sure with AVATAR we have booked a band that will strike a nerve with our crowd and will therefore be seen many more times at SUMMER BREEZE. Check 'em out!